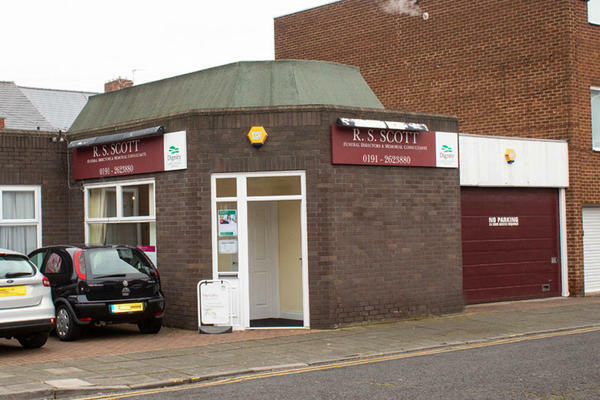 R S Scott Funeral Directors in Wallsend are dedicated to helping local families during their time of need. We understand that losing a loved one is never easy, and we are here to offer you the advice and support you need. You can trust us to deliver a consistently high quality of care to you and your family. Our funeral home has three chapels of rest, should you wish to visit your loved one before the funeral. We will treat your loved one with dignity and respect, caring for them in our premium facilities. We welcome all families to our funeral home, which has been designed with your comfort and ease in mind. You can get in touch with us by telephone at any time, so please give us a call at a time that suits you. At R S Scott Funeral Directors, we understand how special life is with those that you love. For us, every funeral is unique and personal. We have a service to fulfil every wish, with every detail carried out with the same uncompromising quality of care. From a traditional service, to a colourful woodland burial, your options are limitless with our Full Service Funeral. If you have a little more flexibility when it comes to arrangements, then we can provide a Simple Funeral for a lower cost. On small street off Wallsend High Street, we located next to Blue Line Taxi Office. Our staff are available 24 hours a day on 0191 262 3880 if you require our services outside of these hours. Excellent care with a genuine personal touch. As a minister of religion myself, I have dealt with many funeral directors over the years and Chris proved to be of a very high calibre. This is the first time I have had to arrange a funeral and I am so grateful to my uncle who had pre paid. Ian and the team including Mel the minister were better then excellent and a great help with elderly family members who have mobility issues. A very dignified, friendly and professional service. Thank you for taking the time to complete the online review. I am pleased that you were so well looked after by our team and that we were able to help ease any worries that you may have had. Excellent and thorough service by caring and sympathetic staff. I could not have asked for anything more Rob was absolutely fantastic and very understanding and empathetic and made sure every detail was attended too from the day our Mum passed away and well after her funeral. I found all the staff very professional and very courteous and would have no hesitation in recommending Rob and his team to conduct and oversee your loved ones funeral. If I could have gave ten stars then I would thank you all so much. The service I received was second to none. Outstanding service provided. It was heartfelt and personal. We were very well looked after. We were also assured our late relative was cared for in a dignified way. Could not fault the service we received which made the hardest time of our lives just that little bit easier.